Today, we bring you a case for which Philadelphia Police specifically sought your input. Not even three hours into the New Year, 50-year-old Patrick Coyle was crossing Philadelphia's City Avenue – not far from Presidential Boulevard – when he was struck by a car. When the vehicle sped off toward a nearby highway, the case became possibly the first pedestrian-involved hit-and-run of 2013 in the country. When a medical student jumped out of a nearby car and attempted life-saving CPR to no avail, Coyle was declared dead at the scene, thus making it the first fatal hit-and-run of '13. Without surveillance cameras nearby, all investigators knew instantly was that the vehicle involved was a four-door silver sedan, according to witness accounts. "He was loved by everybody even friends, everybody. So everybody's devastated by this accident," said Steve Krystopa, cousin of the victim, a maintenance technician at a nearby apartment complex who has seven brothers and sisters. A week later, Coyle's family is still searching for answers. So are Philadelphia Police investigators looking into the case. 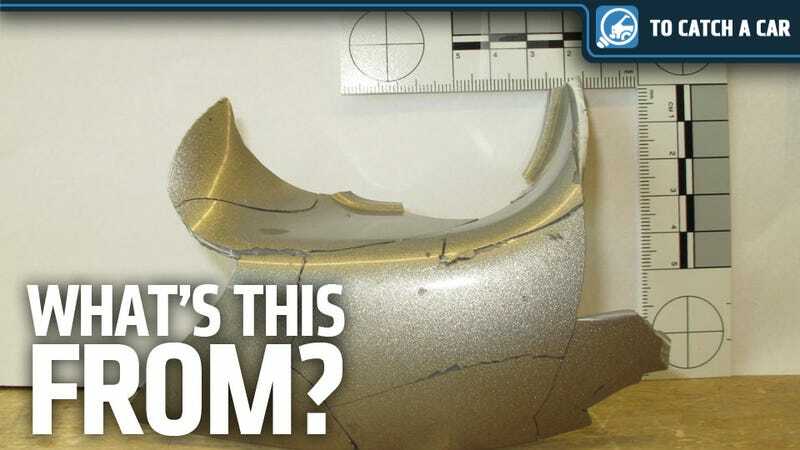 To that end, Officer Paul Busch of the Accident Investigation Unit reached out to Jalopnik hoping To Catch A Car commenters could look at pieces of the vehicle and help determine a make and model. "The only description of the car was the color: Gray. No make or model," Busch told me this afternoon. "By using a paint book to match the colors, we are thinking Saab but the color matches up with Infiniti/Nissan shades also." So that – and pictures that Busch provided – is all we have to work with. Here's hoping y'all can help the family and investigators.